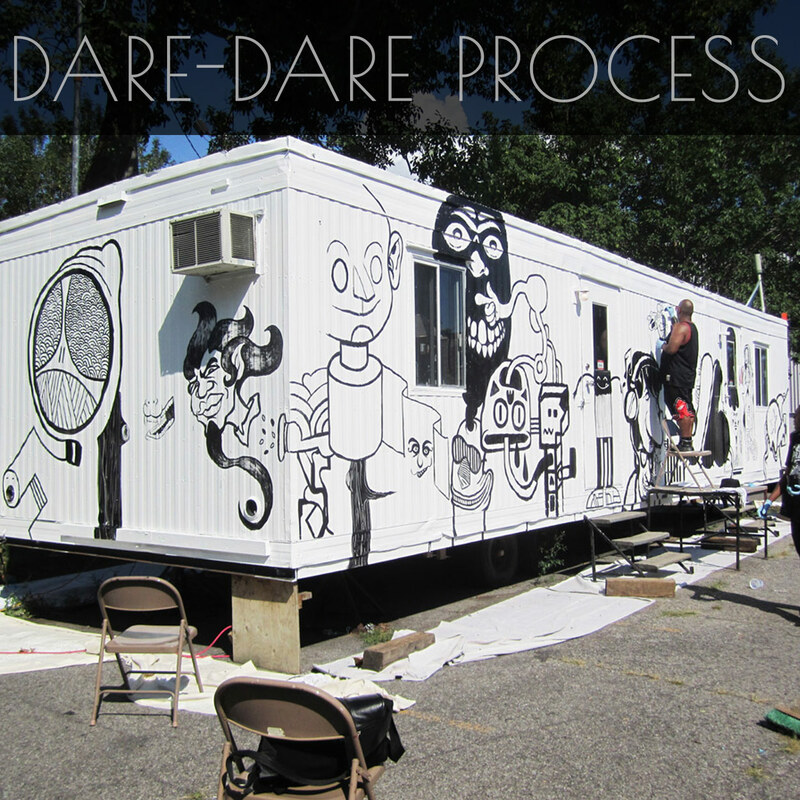 Project Graf’roulotte was sponsored by Dare -Dare Gallery and Innovation- Youth in the summer of 2011. 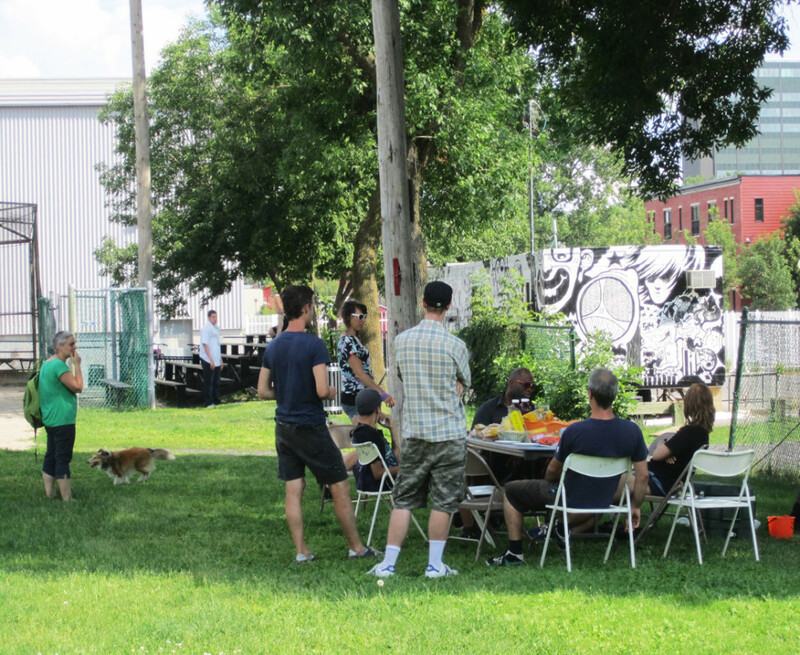 Innovation-Youth offers a structured environment of support for youth, 12-24 years old, in downtown Montreal. 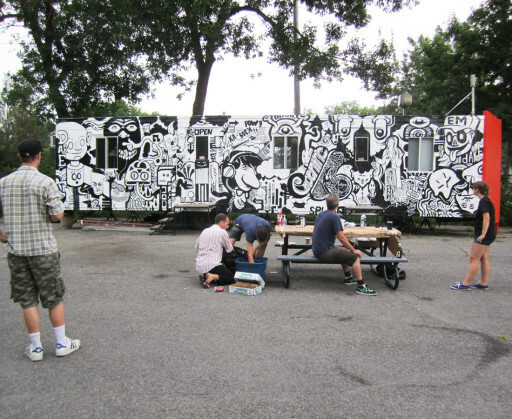 They offer artistic and nutrition workshops as well as academic tutoring and High School accreditation. 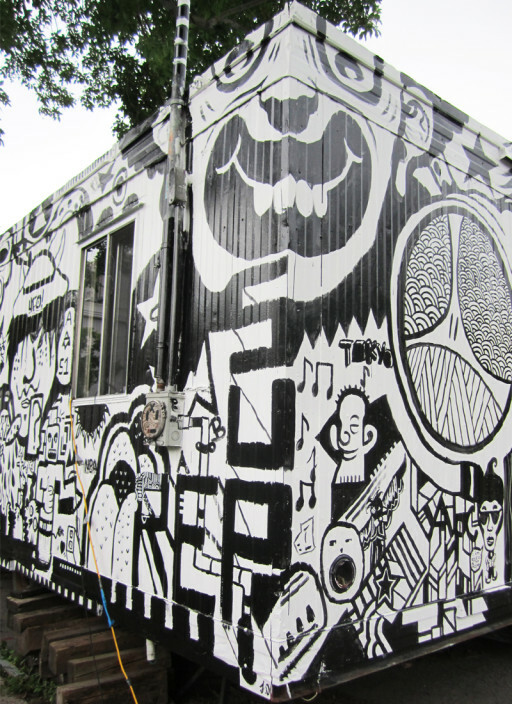 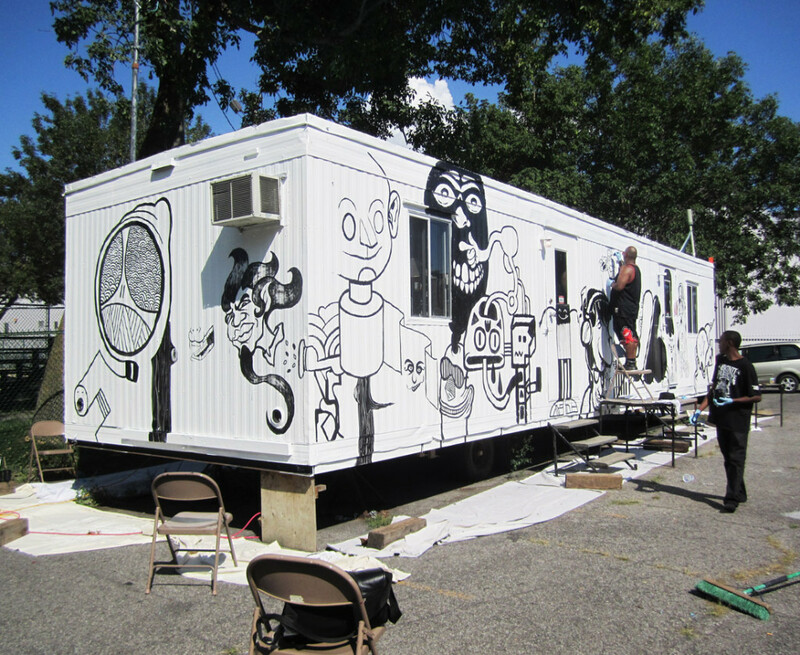 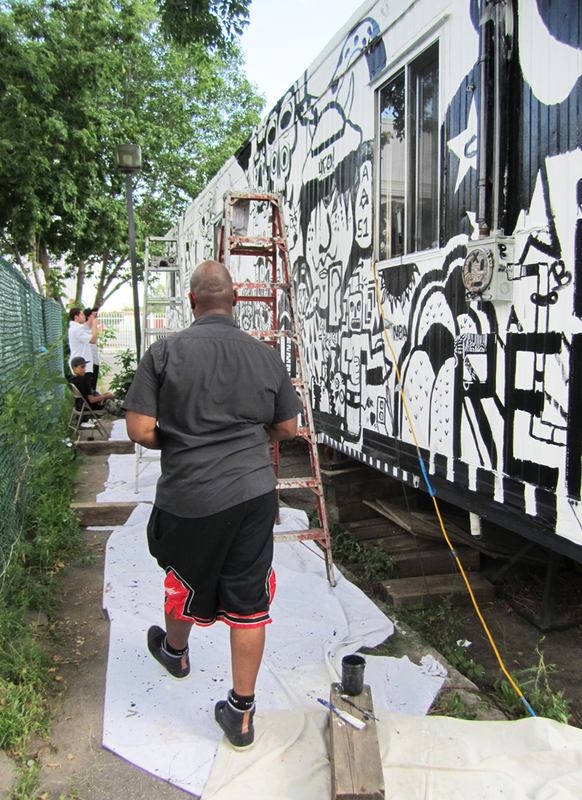 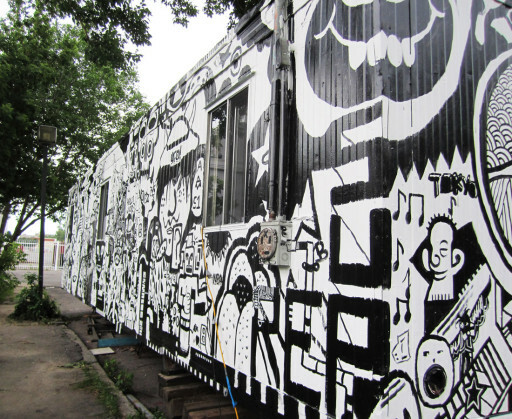 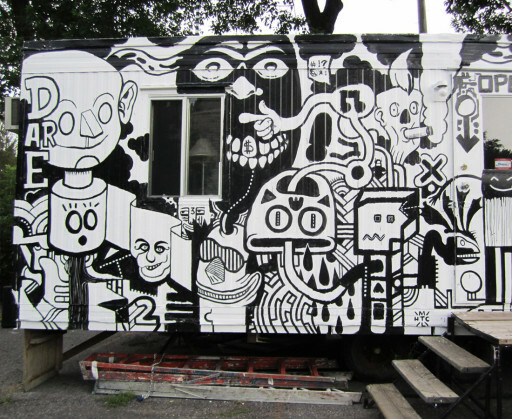 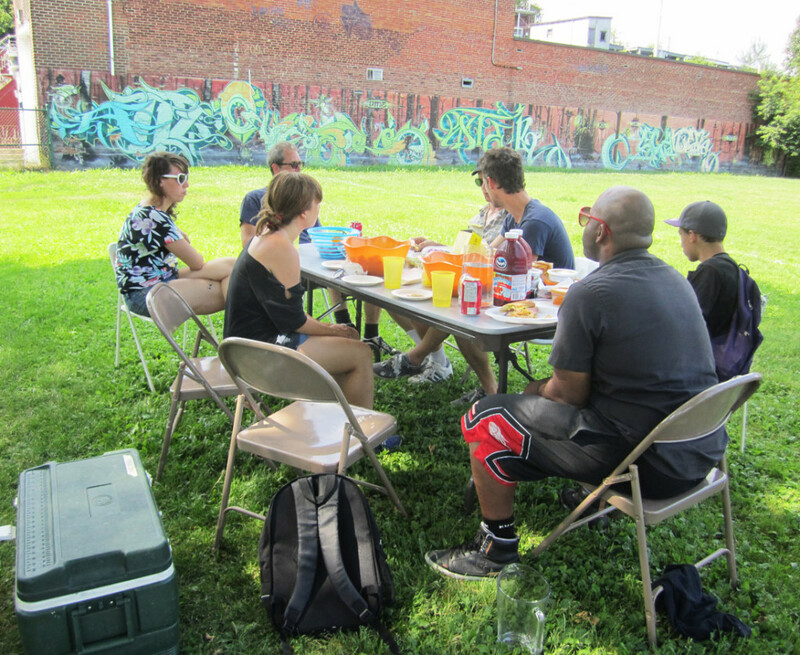 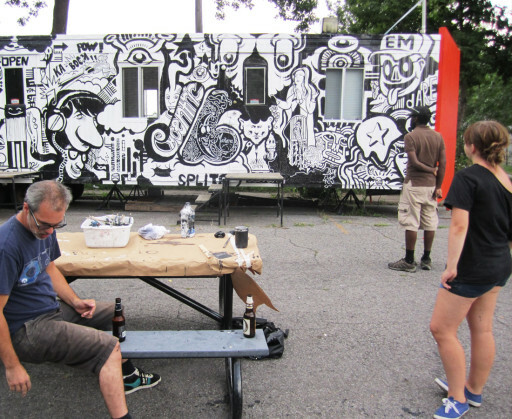 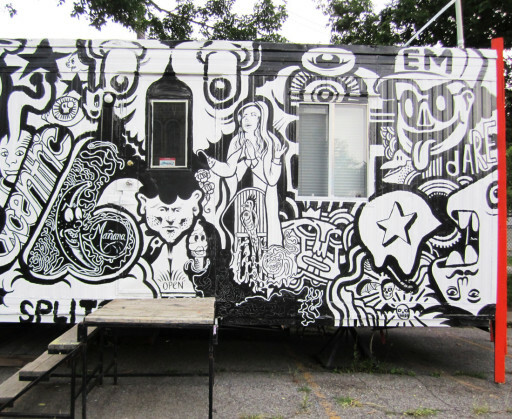 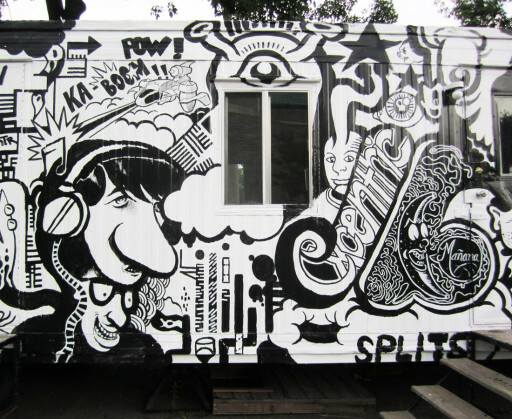 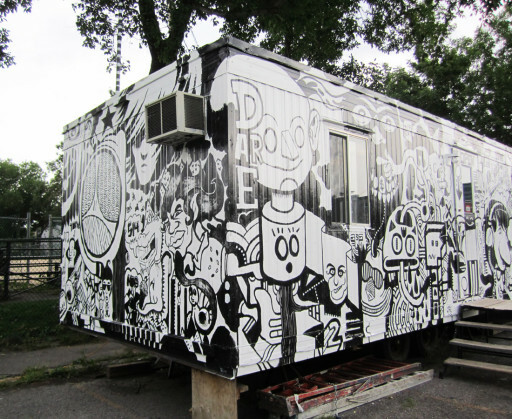 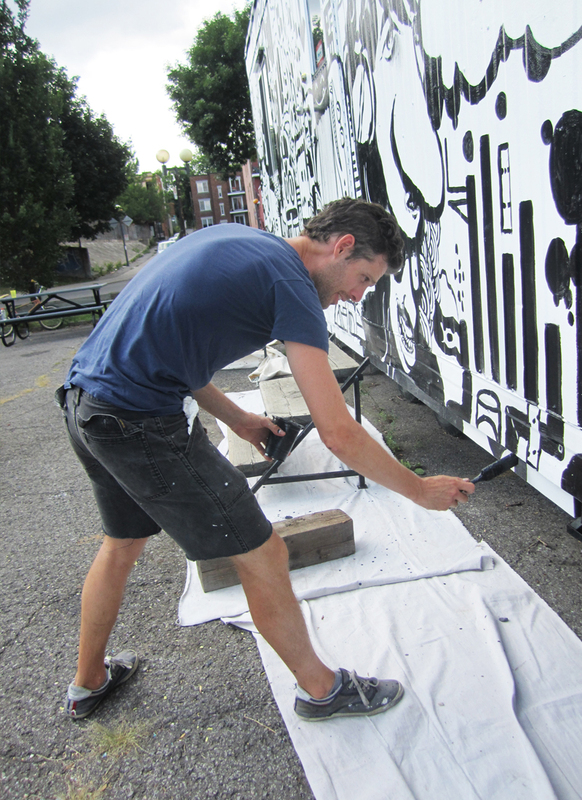 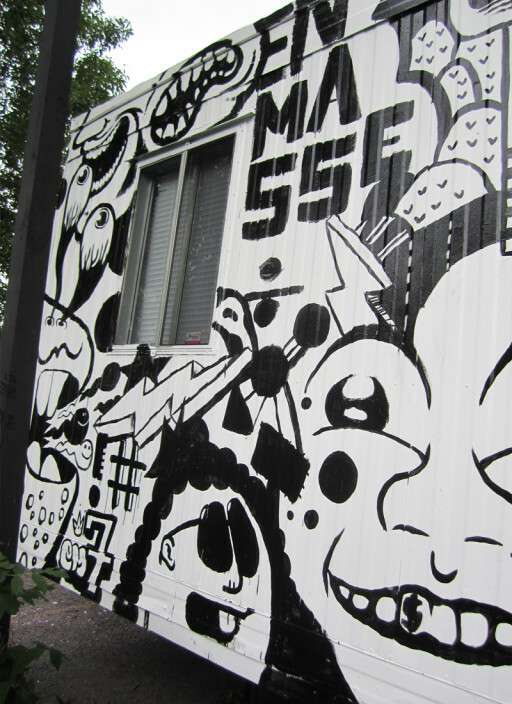 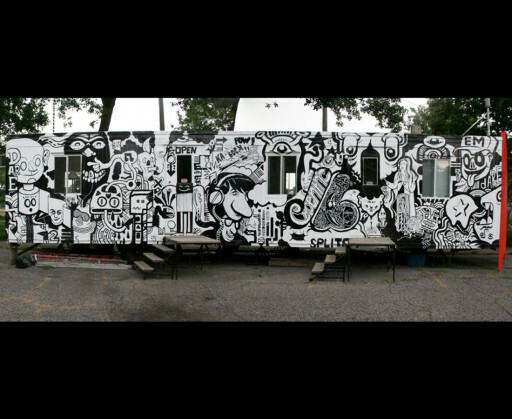 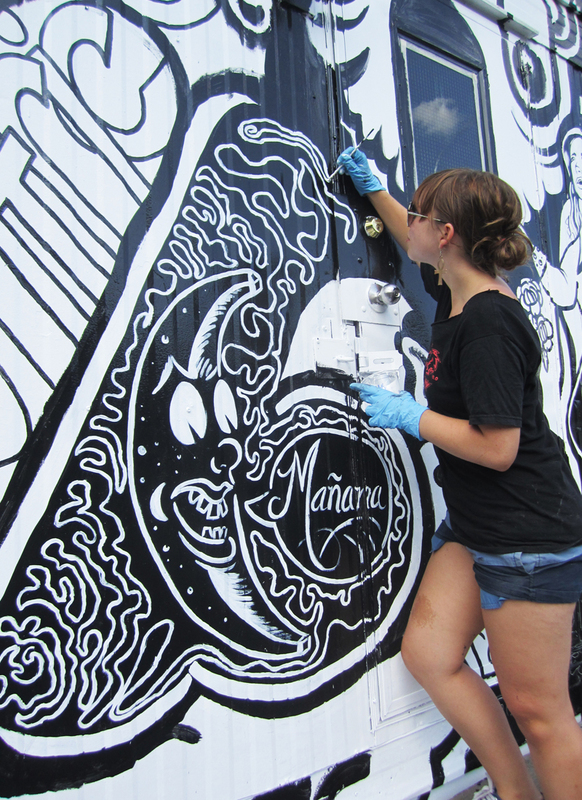 En Masse was hired to work with youth on painting a shipping container that was temporarily Dare-Dare gallery’s office space. 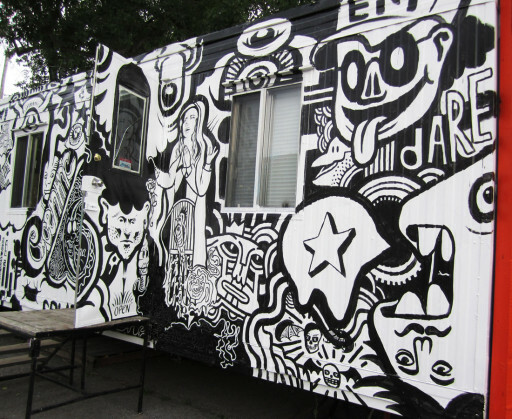 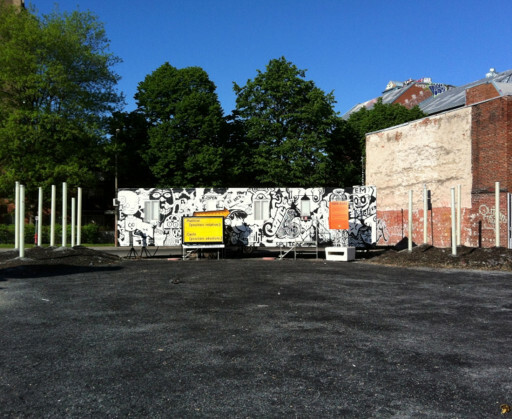 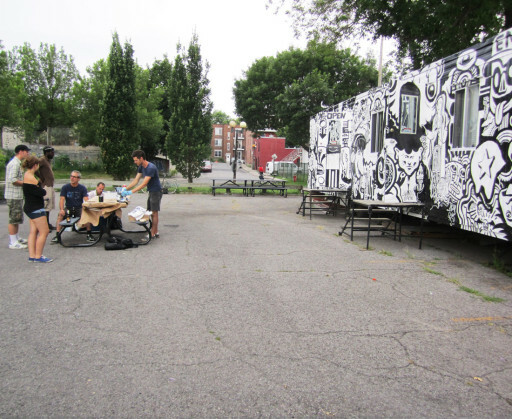 The container was moved in different places in Montreal to expose the painting to the public.